1). Net Indirect Taxes = Market Price – Factor Cost. 2). Depreciation = Gross value – Net value. 3). Net factor income from abroad = National value – Domestic value. 4). GDPfc = GDPmp – Net indirect Taxes. 5). NDPmp = GDPmp – Depreciation. 6). NDPfc = GDPmp – Net Indirect Taxes – Deprecation. 7). GNPmp = GDPmp + Net factor income from abroad. 8). GNPfc = GDPmp – Net Indirect Taxes. 9). NNPmp = GDPmp – Deprecation. 10). NNPfc = GNPmp – Net indirect taxes – deprecation. 11). Private Income = Income from domestic product accruing to private sector + Net factor Income from abroad + Current transfers from government + National debt interest + Net current transfers from the rest of the world. 12). 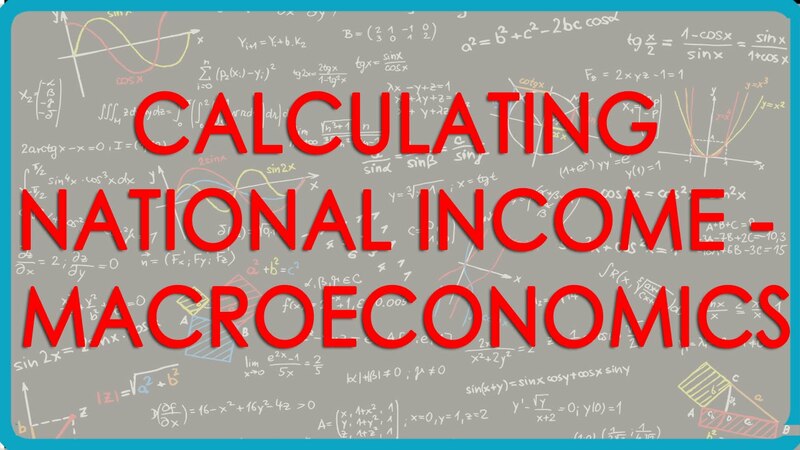 Personal Income = Private income – corporate tax – Retained Earnings. 13). Personal Disposable Income = Personal Income – Personal taxes – Miscellaneous receipts of govt. = Personal Consumptions Expenditure + Personal Savings. 14). National Disposable Income = National Income + Net Indirect taxes + Net current transfers from rest of the world. 15).Gross National Disposable Income = Net national disposable income + Deprecation. 16). NVAfc = Sales + ΔStock – Intermediates consumption – Deprecation. 17). GVAfc = Sales + ΔStock – Intermediates consumption – Net indirect taxes. 18). NVAmp = Sales + ΔStock – Intermediate consumption – Deprecation. 19). GVAmp = Sales + ΔStock – Intermediates consumption.